What is the HECM Program? It is a special type of home loan that is only available to homeowners (or home purchasers) aged 62 or older. You can only do a reverse mortgage for the home you’re living in. 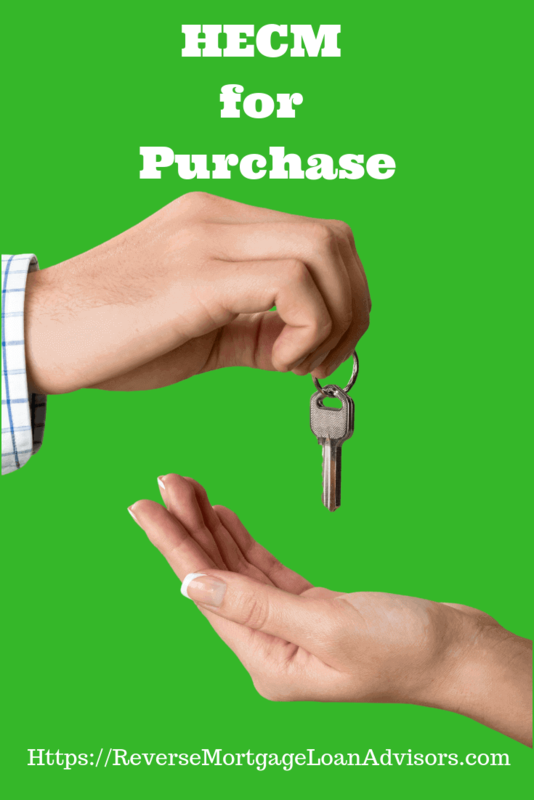 In the case of the HECM purchase loan don’t have to be living there now, but you do need to be buying a home that will be your primary residence. What’s so great about a reverse mortgage is that there are no monthly payments due for as long as you live. You will need to maintain insurance and pay your property taxes though. Many times older homeowners downsize to smaller homes. Sometimes they’ll go from a two story home to a 1 story home because it makes mobility around the house simpler. It’s pretty common for homeowners like this to sell their current home, then pay cash for the new home to minimize monthly expenses. The HECM purchase program allows you to still minimize your monthly payments, but you still don’t have to part with such a big chunk of cash. Since there are no payments required on the HECM program, the down payment requirements are a little bigger than certain types of low down payment loans like FHA, VA, USDA, etc. The down payment required depends on your age. The range moves on a sliding scale from 25% to 47.6%. 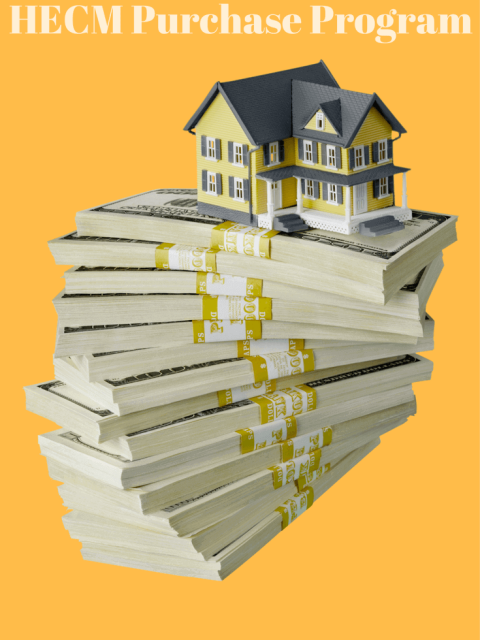 Here are a few examples of the down payment requirement for a $200,000 purchase price. A 62 year old would need to put down $95,200 plus closing costs. A 68 year old would need to put down $87,600 plus closing costs. A 74 year old would need to put down $78,800 plus closing costs. An 80 year old would need to put down $68,600 plus closing costs. An 86 year old would need to put down $58,200 plus closing costs. Lastly, a 90 year old (or older) person has the smallest down payment requirement of all. The requirement would be $50,000 for the down payment on a $200,000 home purchase price. 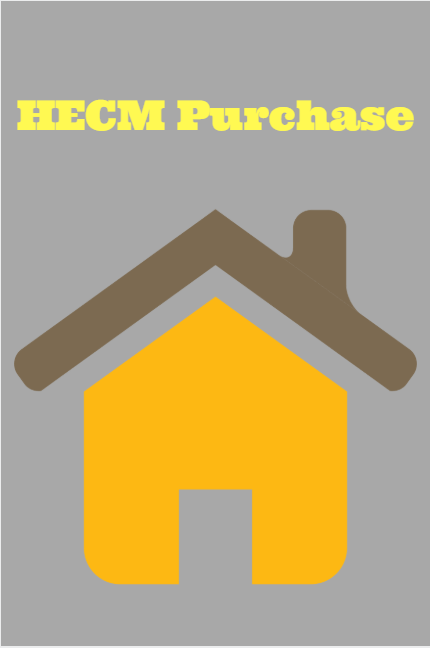 What Kind of Home Can Be Bought with The HECM Purchase Program? SFR / Single Family Residential. Manufactured homes built after June, 1976 (although not all lenders choose to do it). Modular homes (often times confused with manufactured). Condominiums that have the HOA approved by FHA. NOTE – No matter what the property type, the HECM Program can only be done for a home intended to be used as a person’s primary residence. Today is April 19th, 2017. I heard something in the news the other day about a gal named Emma Morano. She was the last known person to be born in the 1800’s. She just passed away a few days ago at age 117. The point in mentioning this is that none of us really know how long we’ll live. In other words, we don’t really know if we’ll outlive our financial resources. Hence, Using a reverse mortgage can help you have a fighting chance to make your money last. ⟵Reverse Mortgage Counseling – What Does Reverse Mortgage Counseling Cost?